The success of Allenby‘s offensive against the Turks has led to a collapse of their position in Palestine and Syria. Having cleared the Turks out of northern Palestine and seized the Transjordan town of Amman, British and Commonwealth forces are pressing on towards Damascus, the centre of Turkish power in the Levant. Also racing towards Damascus are Arab followers of Sharif Hussein of Mecca, self-declared King of the Arabs; these men are a mix of regular troops and Bedouin tribesmen who have attached themselves to the cause of the Arab Revolt. Hussein himself is an old man and has remained in southern Arabia, but his son Faisal is with the Arab army. Sharif Hussein hopes to establish an Arab kingdom with Damascus as its capital; he knows that in the Sykes-Picot agreement the British have promised Syria to the French, but he hopes that if his followers can establish themselves in Damascus then facts on the ground will trump past agreements. Travelling with Faisal is the British liaison officer T.E. Lawrence, who is personally supportive of Arab ambitions versus those of the French. In the end the first Allied troops to reach Damascus are a party of Australian cavalrymen who find that the Turks have abandoned the city. The leading citizens of Damascus have already taken down all Turkish flags and replaced them with emblems of Sharif Hussein. The British decide to hush up news of the Australians’ being the first into Damascus. For now the ambitions of Sharif Hussein and his son must be pandered to, so the British prepare for Faisal’s men to make a grand triumphant entrance to the city at which they will they formally receive the surrender of Damascus from the local notables. While Allenby advances into Palestine the Arab rebels of Sharif Hussein of Mecca are attacking the Turks further to the east. The rebels have expanded out of their base in the Hejaz region of Arabia and are now raiding northwards. At Allenby’s request, a raiding party including British liaison officer T.E. Lawrence has launched a long distance raid into Syria, far from the rebels’ base, with the intention of cutting the railway intersection at Deraa. The plan is perhaps too ambitious: the raiders are unable to successfully attack Deraa, though they are able to cut the railway further to the south. While the raid may not have fully succeeded, it warns the Turks that the rebels are able to strike far to the north, forcing them to divert troops to garrison duty that could otherwise be deployed to Palestine. Thanks to a steady inflow of British arms and money the Arab Revolt is now pretty secure in its dominance of the Hejaz region of the Arabian Peninsula. The Turks still have a garrison in place in Medina but it is unable to contest control of the region with the rebels. British aeroplanes are bombing the railway line to Medina, keeping the Turks there too undersupplied to bother the Arabs. To the discomfiture of his British patrons, Emir Hussein of Mecca has declared himself King of the Arabs. Now his son Faisal prepares to extend his father’s writ north into Syria. He sends his cousin Nasir ibn Ali and other trusted associates to reconnoitre the region. They are to make contact with the rural tribesmen and also with the Arab nationalists in Damascus. Travelling with Faisal’s men is British intelligence officer T.E. Lawrence, who has been liaising between Faisal and the British in Cairo. Lawrence has become sympathetic to the Arab cause. By now Lawrence is aware of the Sykes-Picot Agreement, in which Britain and France agreed to divide the Middle East between them. Lawrence dislikes the French and hopes to assist Faisal in staking a claim to Syria before the French are able to establish themselves there. Sharif Hussein of Mecca is leading a revolt of the Arabs against their Turkish masters. 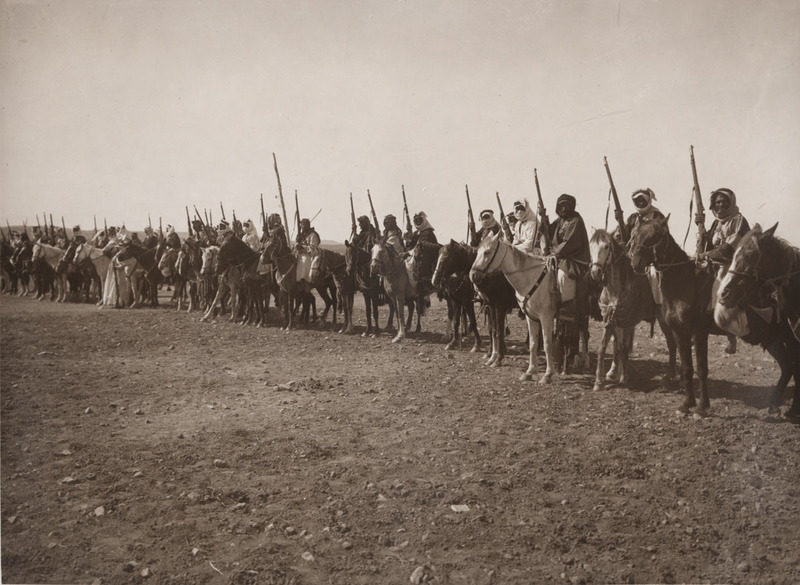 With British help the rebels have secured much of the Hejaz region of western Arabia, but they have been unable to evict the Turks from Medina. Now the Turks decide to strike back. Fahreddin Pasha, the tough Turkish commander of Medina, leads a strong force to attack the rebel held port of Yanbu. If he can defeat the rebels here he hopes to start rolling up their coastal positions, cutting them off from British assistance. Fahreddin hopes that a strong blow or two against the rebels will cause their less committed supporters to desert the cause and return home, leaving Sharif Hussein and his close associates to face the vengeance of the Ottoman Empire. 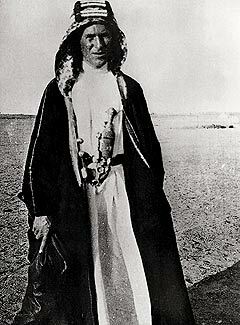 Sharif Hussein of Mecca is leading an Arab Revolt against his Turkish masters. The rebels have secured Mecca itself, the vital port of Jeddah, and much of the Hejaz region. However the Turks remain in place in Medina. The tough Turkish general Fahreddin Pasha hopes to crush the rebels, showing other disloyal elements what happens to those who defy the Ottoman Empire. Hussein’s son Faisal leads a rebel field force, based at Hamra in the hills near the port of Rabigh. Fahreddin’s men attack Faisal, whose tribal followers are no match for the Turkish regulars. Faisal is thrown back. Now Rabigh is threatened, with the rebels and their British allies wondering if the Turks will now be able to roll over Arab forces holding the ports that connect them to the outside world. The threat to the Arab ports puts the British in a tricky situation. The defeat of the rebellion would be a disaster, but they are wary of sending their own soldiers to assist the rebels. But what can they do? In Cairo British officials turn for advice to Captain T. E. Lawrence, an intelligence officer who visited Faisal in October. Lawrence warns against sending British soldiers into Arabia, as this will convince the Arabs that Britain is planning to take over the region. Instead he suggests providing the Arab rebels with aerial support and technical assistance, and with gold. The support of many of the rebels for Hussein’s cause is conditional and must continuously be paid for. Providing him with gold will allow him to maintain his supporters in the field and attract new supporters. Lawrence’s advice reassures the British. They are short of troops but they have plenty of gold. So they plan to keep the money flowing in the hope that the rebellion can be kept alive. 30/10/1916 A new King for the Arabs? Sharif Hussein, the Emir of Mecca, is leading an revolt against the Turkish Empire. Hussein has received support from Britain, but the progress of his revolt remains uneven. A strong Turkish garrison remains in place in Medina and continues to threaten the territories controlled by the rebels. Nevertheless, Hussein decides that now is the time for a grand gesture. Today he has himself declared “king of the Arab lands”, claiming the loyalty of all Arabs. The hope is that this will inspire the people of Syria and Mesopotamia to join his rebellion. Hussein’s British allies are discomfited by his bold claim. The British have made vague promises to create an Arab state, headed by Hussein, but only in Syria (the territory between the Arabian peninsula and the Turkish heartland). Britain is intent on retaining Mesopotamia for itself. But Britain has also made a secret agreement to divide up Turkey’s Arab territories with France, whose leaders will not be impressed by this bold claim by Britain’s client. And Hussein’s claim of kingship over the “Arab lands” is rather vague in its boundaries. Surely he is not also claiming Egypt as part of his realm? So the British are wary of Hussein’s ambitions. They cannot dispense with his services but they do not want to encourage him too much. So they formally recognise him as King, but only of the Hejaz, the western Arabian region he had ruled as a client of the Turks. Sharif Hussein, Emir of Mecca and Medina, has revolted against the Turkish Empire. His followers are gradually consolidating control of the Hejaz region of western Arabia. Mecca and Jeddah are securely in rebel hands. Control of Jeddah on the coast is important, as it allows an inward flow of arms and gold from the Allies. Now at last they have also managed to force the surrender of Ta’if, thanks largely to the help of Egyptian artillerymen sent over by the British. With the fall of	Ta’if the rebels have also captured Ghalib Pasha, the Turkish governor of the Hejaz, who had taken refuge there. However, not everything is going the way of the rebels. Medina remains in Turkish hands, with a strong army located there under Fahreddin Pasha. Elsewhere in the empire, Fahreddin has previously been involved in brutal actions against the Armenians. Now he hopes to give the Arabs a dose of the same medicine. He plans to march on Mecca and crush the rebellion.